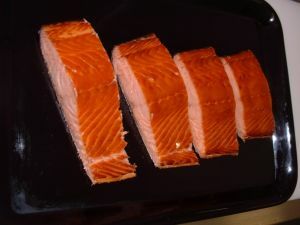 Naturally smoked roasted salmon fillet. Oil naturally produced during the smoking process. A delicious, succulent, moist, flavoursome fish – nothing added and nothing taken away.